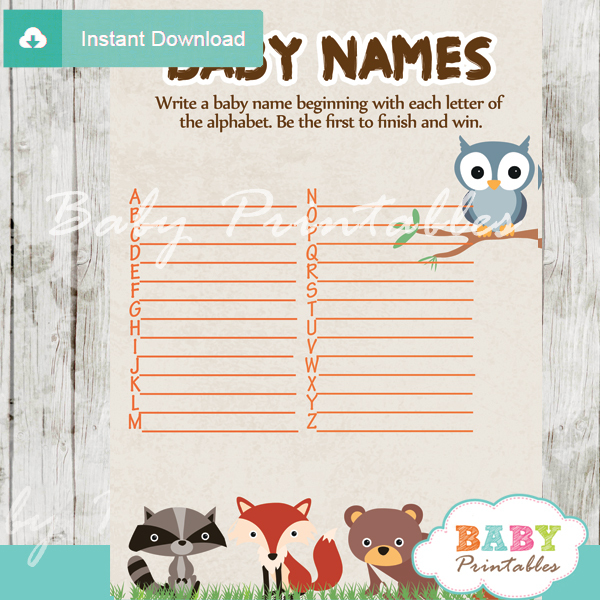 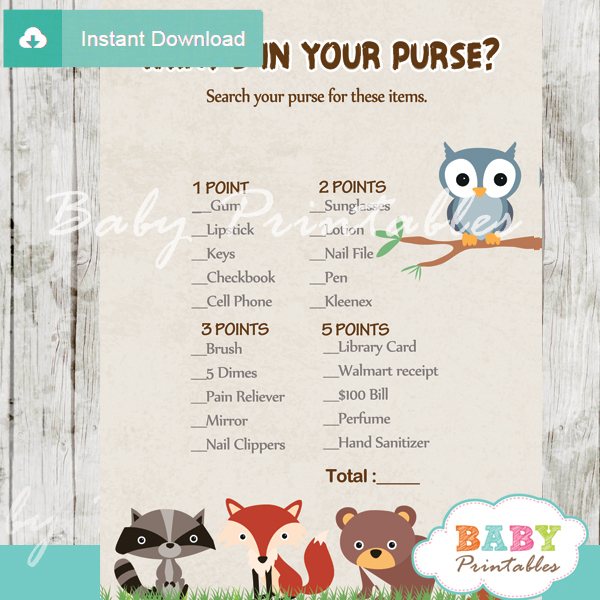 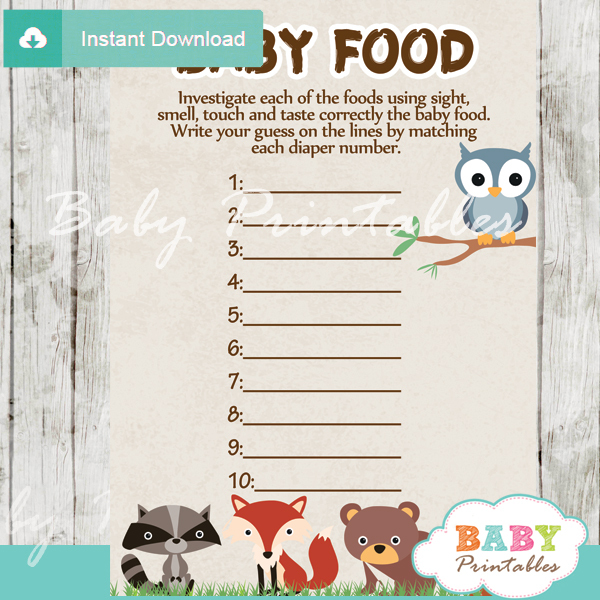 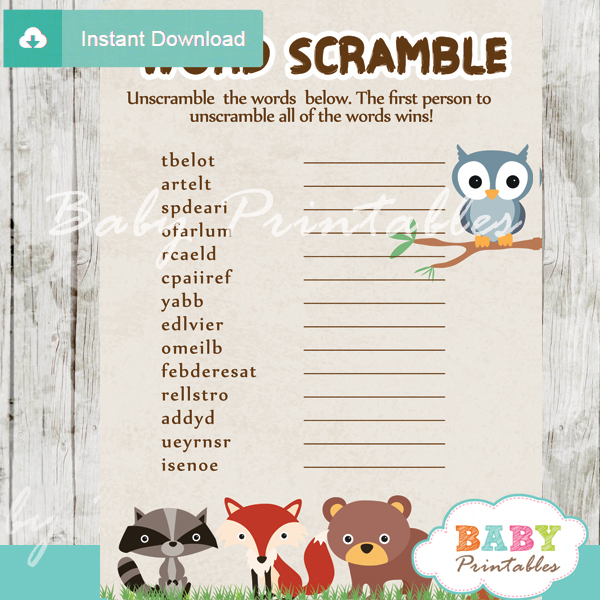 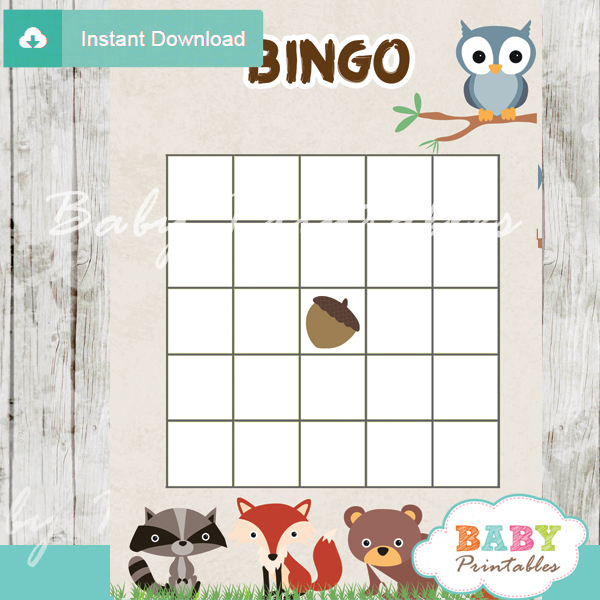 Fun to play printable Woodland forest animals baby shower Games to keep your guests entertained! 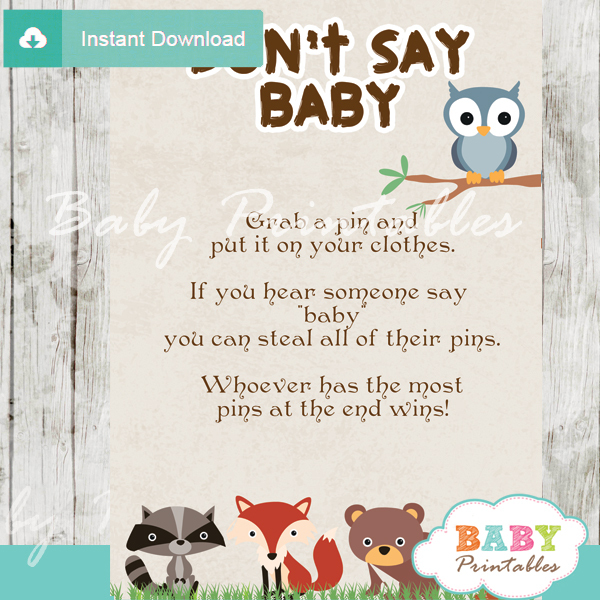 Each game card features adorable forest baby critters: owl, fox, raccoon, bear and squirrel. 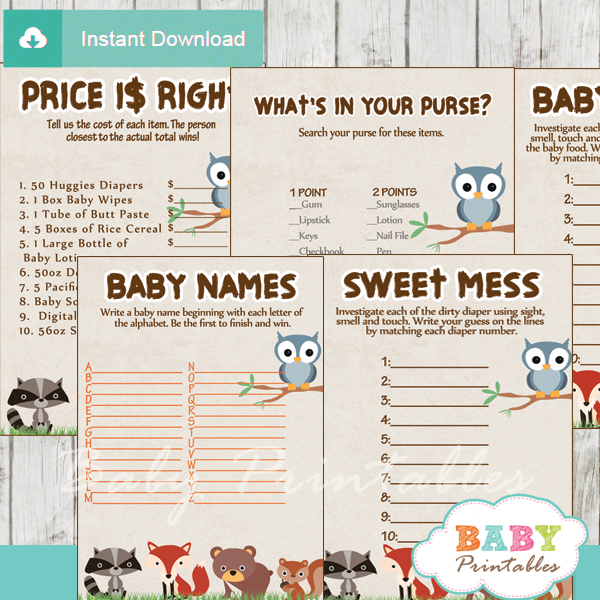 Perfect for a boy, girl or a gender neutral baby shower.